I enjoy watching the sitcom Kim's Convenience on CBC. I'm particularly impressed by the work of Paul Sun-Hyung Lee, who plays the lead character of Mr. Kim or Appa (Korean for Dad), as his children call him. Kim is the patriarch of a Korean Canadian family and the owner of a convenience store in the Regent Park area of Toronto. 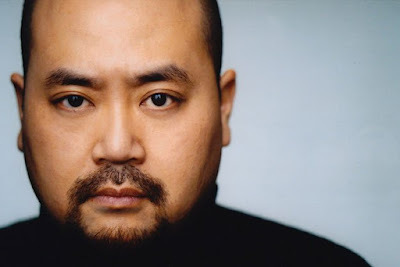 Paul Sun--Hyung Lee was born in Daejeon, South Korea in 1972, His parents immigrated to Canada when Lee was just three months old. 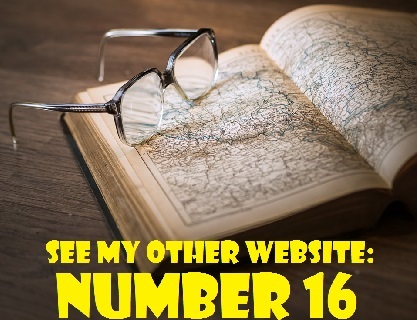 Growing up, he lived in London, Ontario, Toronto and then Calgary. He later returned to Toronto to attend the University of Toronto, graduating from the drama program at University College. From 2003 to 2005, Lee was a member of the cast of the Global Television soap opera Train 48. He played the part of Randy Ko for the entire run of the series. Lee also had a supporting role in the 2005 film Ice Princess as Tiffany's father and he appeared in the 2007 Canadian/American horror thriller P2. In 2011, Paul Sun--Hyung Lee began playing the role of Mr. Kim on stage. He appeared in several Toronto productions of Ins Choi's play, Kim's Convenience. Lee also portrayed Mr. Kim with the Soulpepper theatre company as well as in an Off Broadway presentation of the play. In 2016, he brought the role of Appa to television when it was adapted as a television series. Speaking on CBC Radio's q, Lee told guest host Candy Palmater that he brought elements of his own father into his portrayal of Mr. Kim, especially his father's "quirky sense of humour." He said that Mr. Kim is "an amalgam of all these great, strong Korean men" he grew up with as a child. Unlike his character, Lee does not speak with a heavy Korean accent. In fact, he revealed to Palmateer that he originally had a difficult time voicing a Korean accent because "it was one of those things where I could have a mental block because growing up I wanted to assimilate and be so Canadian that subconsciously I just pushed away my Korean heritage. And my Korean accent would sound like I was Russian." 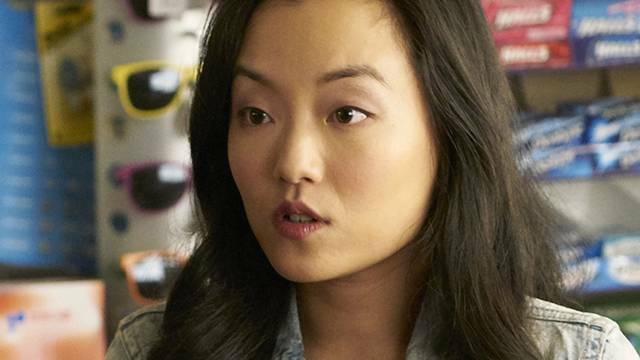 Jean Yoon,plays Kim's wife and co-owner of the convenience store. Mrs. Kim is known as "Umma," (Korean for mother). An actor and playwright based in Toronto, Yoon originated the role of Mrs. Kim, in the Soulpepper theatrical version of Kim's Convenience. The Kims have two children. Their son, Jung, is portrayed by Simu Liu. Simu (born April 19, 1989), is a Canadian actor, director, stuntman and writer. Born in Harbin, China, he immigrated to Canada when he was five years old. He studied accounting and finance at the University of Western Ontario (London, Ontario) and was employed as an accountant before becoming an actor. When Simu's character, Jung, was 16 years old, he had a falling out with Appa involving a physical fight and stolen money. He was kicked out of the family home. Although still estranged from his father, Jung secretly contacts his mother and his sister, Janet. Andrea Bang's character, Janet, studies photography at an art school. In an October 6, 2016 article by Craig Takeuchi in The Georgia Straight, she describes Janet as the one character "who's able to go into Umma and Appa's world, but also Jung's world." "A lot of things are filtered through her," said the Vancouver area native. Takeuchi characterizes Janet as the "true nexus of the familial relationship" because she is still on cordial terms with all family members. People of Asian background have not had a strong presence on North Americnan television. When the ABC sitcom Fresh Off the Boat premiered in 2015, it became the first Asian-American sitcom since All-American Girl in 1994. All American Girl, starred Margaret Cho as the rebellious teenage daughter of a traditonal Korean-American family. The series was cancelled after only one season. With its depiction of Korean-Canadian life, Kim's Convenience is a groundbreaking.TV series. 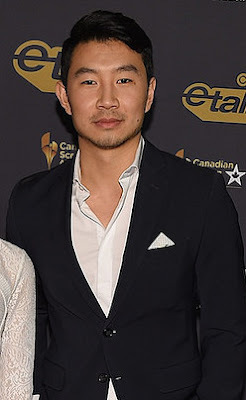 Lucas in his article for tvo.com (TV Ontario's website), describes the sitcom as the first mainstream Canadian television show with a lead cast of Asian background. Costello also argues that the CBC and Canadian television is general are far behind in reflecting the diversity of Canada's population. Joel Rubinoff, in his November 6, 2016 piece for the Waterloo Region Record, writes that Kim's Convenience is "a hilarious depiction of a Canadian-Korrean family that, in its fearless desire to stir the pot, comes off like Archie Bunker meets The King of Kensington." Mr. Kim has worked hard all his life and is very old school. For all his good qualities, he has elements of Archie Bunker in him. He doesn't like the Japanese because "they invaded Korea." He doesn't want his daughter Janet to buy Japanese products. 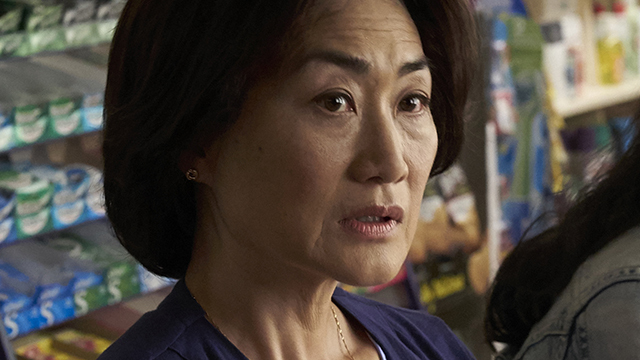 According to Rubinoff, the "genius of Kim’s Convenience is that despite its intentionally rough edges, its main characters are sympathetic, flawed beings who make occasional missteps but learn from their mistakes. And they feel real, not - in grand CBC tradition - like generic holograms mouthing platitudes about diversity." 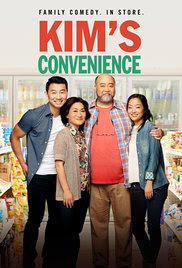 * When Kim's Convenience playwright Ins Choi and his parents moved from South Korea to Canada, they stayed with an uncle who had a Toronto area convenience store called Kim's Grocer. * Andrea Bang's sister, Diana Bang is also an actress. She has appeared in films such as The Interview (2014), Entanglement (2016) and The Master Cleanse (2016). She is also a member of an Asian Canadian sketch comedy troupe called Assaulted Fish. * Paul Sun-Hyung Lee a real life "appa." He is the father of two sons. EDITOR'S UPDATE (December 22, 2016): Kim's Convenience has been renewed for a second season by CBC. The network reported that the show has drawn an average of 933,000 viewers (39 per cent in the 25 to 54 year old demographic. The first season finale will air on December 27, 2016 There will be two back-to-back episodes beginning at a special time - 8 p.m. The second season is scheduled for the fall of 2017.